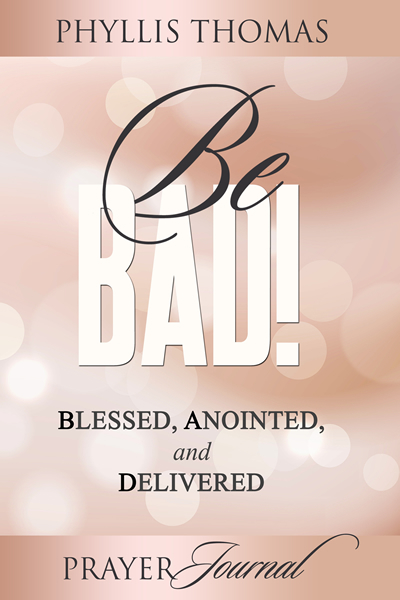 Develop the tools that empower you to be BAD – Blessed, Anointed, Delivered. With this journal praying, reading the Bible, and hearing from God will become your lifestyle, not rituals. The affirmations, prayers, inspirational thoughts, and questions are designed to stimulate your thoughts, cause you to reflect, and motivate you to action. Each day you use this resource you build your spiritual muscles. Before you know it, with the daily Bible reading chart, you will have covered the entire Bible. Let the power of Spirit-led prayer, journaling, and affirmations create your new reality. Do the work to develop great habits and a healthy spiritual life. Whether it’s for personal worship, or group study, this is the perfect resource to build a stronger relationship with Christ!